Easily and Quickly Explained! Learn how to tell if a Verb is Regular, Irregular or Mixed! 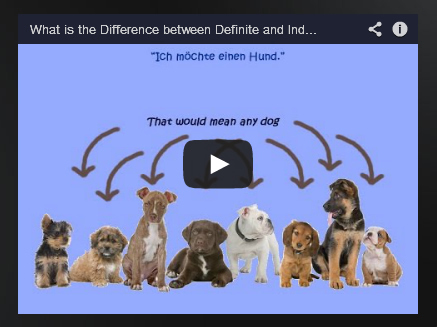 What is the Difference between Definite and Indefinite Article in German? This is a video request from a friend who wants to know: When do we use "der, die, das" and when do we use "ein, eine, ein"? Watch this video and find out! When to use "kein" or "nicht" in German! The negation in German can some times be confusing! No worries! 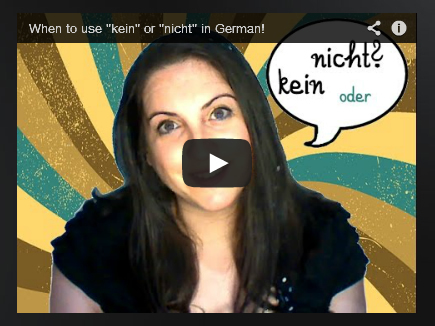 MrsDeutsch shows you the easy way with this short, enlightening video! Why do Germans say EINES NACHTS?